Whatever you may have heard of the craze and extremely popular video game Fortnite, I am going to explain how this game has positively impacted my life recently and how it could be positively impacting someone you know who seems as if they cannot put the controller down. Probably the most important and salient ways in which Fortnite has positively affected my life recently is through its ability for a maximum of 3 of my friends to group up and play games together. I consider myself very lucky to be very good friends with a group from my secondary school. We have known each other at our worst and best stages of growing up and I think this solidifies our friendship. We are all at the stages in our life where we have all graduated from our undergraduate universities and are now entering the ‘real world’ getting jobs and moving away from our home in the south east of England. Being able to meet up and socialise in ‘real life’ can be very expensive and time consuming especially when friends are dotted all over the country. However, this is where Fortnite steps in to save the day. We are all able to sign into our multiple gaming machines and virtually ‘meet up’, chat and game together. It’s a truly magical experience talking to your friends while playing Fortnite and the game almost becomes the background activity that moulds with the conversation and you really don’t care if you are winning or losing, you’re just having an awesome and hilarious time gaming with your friends. It seems that Fortnite facilitates this sort of social gaming very well. I truly believe that this new and record-breaking game has made my friendships stronger and has supplied us with truly exciting and amusing moments. Its not only me that thinks video games are a social phenomenon that tends to be overshadowed by negative stigma of the ‘typical’ gamer stuck in a dark and untidy room being anti-social. Lenhart et al, 2008 highlight that contrary to stereotypes, the average gamer is not a socially isolated, inept nerd who spends most of his (or her) time alone loafing on the couch. 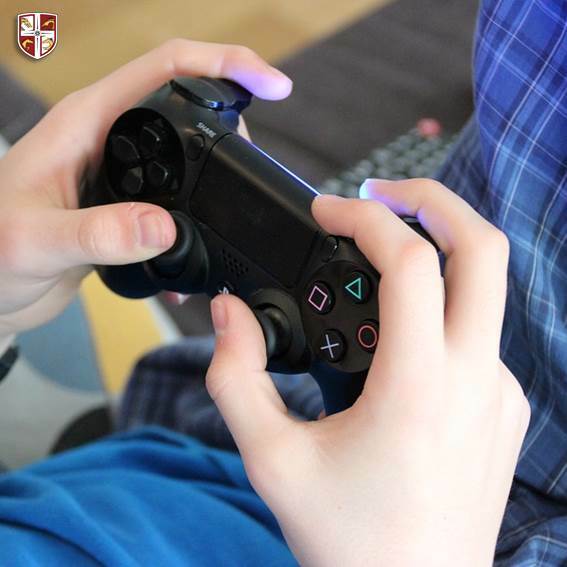 The Entertainment Software Association in 2012 noted that over 70% of gamers play their games with a friend, either cooperatively or competitively )” (Granic et al, 2014, p72-73). Video games have accelerated their capabilities for ease of access to friends and family just as other technologies like the internet. Its amusing to think that it has taken a long time for non-gamers to realise that video gaming is a very social activity. Even when video games where at their most infant stages of life, most of the time there was another controller or joystick there teasing for coop or competitive play to happen. …with great potential for the future! So where can this social magic lead us? Well, it may be interesting to know that through this social interactivity in gaming the hypothalamus, a part of our brain that releases hormones, releases a certain chemical known as oxytocin which promotes feelings of trust and unity between others (McGonigal, 2012, Tassi, 2012). Potentially meaning that through positive social interactions in gaming can strengthen relationships with friends, family and even help us to make new friends (McGonigal, 2012). Maybe to combat a very divided world of ideas, politics and opinions we live in today, we all need to play more Fortnite together! Granic, I., Lobel, A., Engels, R., & Anderson, Norman B. (2014). The Benefits of Playing Video Games. American Psychologist, 69(1), 66-78.